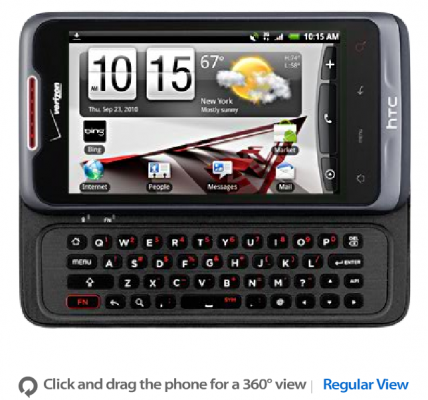 The HTC Merge which was originally supposed to be part of the big Droid celebration tonight in Seattle, made a brief appearance on Verizon’s website before being pulled just minutes later. Usually when 360 degree pages show up for phones, they are about to be announced, so stay close as we’ll be snooping around the interwebs for more details. We also have a secret spy heading to the Incredible party tonight, so we’ll be sure to let you know if the device makes an appearance.